I have always had a major love for big, dramatic lashes. 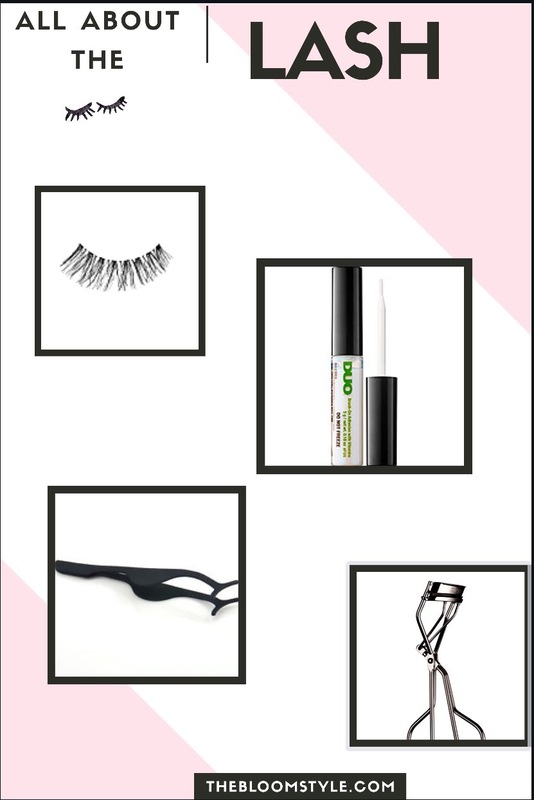 They open up your eyes and make you look a little extra alert- perfect for everything from early mornings to date night trying to look put together the morning after a late night. I have definitely not been blessed with naturally long, luscious lashes. (Side note: Is it just me or does it always seem that guys have the best natural eyelashes?! SO unfair!). I didn’t really get into fake lashes until a few months ago. I always struggled with getting them on evenly, getting them to stay and disguising them. All those fabulous beauty vloggers make it look so easy to just casually slap on a strip and call it a day, right? Not so much for me. But practice makes perfect, and now I’d say I’m pretty decent at it. I’ve picked up a few ticks, tips and tools to share that might help make lash application a little less frustrating for you too! So obviously, you need to pick up lashes to start. I personally love Ardell’s lashes. They have a large variety, from natural-looking strips to give you just a little extra oomph to fluffy, red carpet glam pairs. These are great for every day use and can be easily re-used. When you take the lashes out, hold them up to your eye to measure and cut to your shape. I almost always have to snip a little off for a comfortable, natural-looking fit. Always cut from the outer side since that’s where the lash gets bigger. Cutting from the inner corner lessens the gradual growth and makes them look very visibly fake. Finding a strong glue is so important. This one in particular is a fave because of the screw off brush- I find it easier to brush on the glue rather than squeeze it from the tube. Once you find one that works for you, remember this MAJOR tip- always wait 20-30 seconds after applying the glue to attach the lash to your natural lash line. This can honestly make or break the way the lashes sit on your eyes.I always thought I needed to apply the second I put the glue down so my lashes would always slide all over the place when I blinked- not cute. Give the glue time to get tacky enough to hold onto your skin. Usually, I apply my thin coat of mascara to my real lashes right before I use the glue on the lash strip, so I wait for both to dry before going in with my lash tool. An actual lifesaver. This dual-ended magic stick makes lash application 1000 times easier than trying to just use my hands or a pair of tweezers. Grab the lash with the two-pronged side and plop the lash down, from the middle. I take the other flat side of the tool and lightly press down to push the lash band as close to my natural lash line. Once I feel it’s secure, I go in again with the dual side and gently clamp together my actual lashes with the fake ones. Finally, I use this super inexpensive eyelash curler to make sure everything is where it’s supposed to be and to add a final flair to the whole look. This is a must- you don’t want there to be an obvious separation between your fake and real lashes. The curler helps to enforce the bond and turn all lashes in the same direction. I’m always looking for ways to make this process as quick and effective as possible, so leave me your best tips in the comments! I barely have any lashes either, I feel that struggle girl. There’s literally no point in me wearing mascara sometimes unless I’m wearing falsies hahaha. I love the duo lash glue. Dries clear, no allergic reaction, and my lashes stay on the whole day <3 Love the post girl !